Nowadays there are so many ways to make coffee! It’s difficult to choose. Each and very method has its pros and cons. When making a cup of coffee, there are a number of variables to take into account: time you have available, type of bean, ground size preference, steep time preference… the list goes on. French press can be wonderful, except that there’s the gritty bits after you’ve pressed the coffee. Regular paper filter drip coffee can also be wonderful, unless you just wish it could brew a tiny bit more and be a bit more strong! Wouldn’t it be great if it was possible to get the best result from each of these methods for what could be the best cup or coffee ever? Guess what? The Clever Coffee Dripper does just this. It gives you the opportunity to let you seep your coffee for as long as you’d like, french press-style, but without the sediment and grit. The Clever Coffee Dripper takes the filter cone design and adds a stopper so that you can determine brew time. It fits over pretty much any standard-sized mug, cup, or thermos, too. The Clever Coffee Dripper gives you control over steep time, and is easy and quick to use for making the perfect cup of coffee. 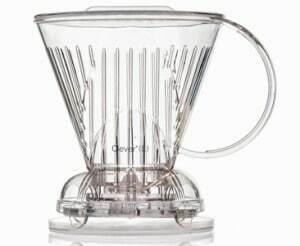 You simply add the amount of coffee grounds you’d like in your brew into the Clever Coffee Dripper, and follow with adding some water that has been brought to a boil but is no longer boiling. Cover with a saucer, and let the water and grounds sit for 75 seconds. Then, lift the saucer, break the crust and/or give it a stir, and let it sit for another few minutes – as long as you’d like your coffee to brew for (French press-style). Your Clever Coffee Dripper comes with a small plastic plate that it can rest in while you are preparing and brewing your coffee grounds. As soon as you put the Clever Coffee Dripper onto your cup, mug, or thermos, it will drain out of the filter system and into the receptacle. The ‘drawdown’, or the time it takes for the coffee to drain out of the Clever Coffee Dripper takes about 45 seconds. Then, go ahead and enjoy! Between uses, you’ll want to hand-wash the Clever Coffee Dripper. Use a soft sponge or brush. This fine kitchen implement is not designed for the dishwasher or the microwave. Rinse your filter before using it to ‘prep’ it for the coffee making experience (fill it up, let it sit for a few seconds, and drain it through). Use approximately 21-26 grams of ground organic coffee and 340 grams of water for the ultimate coffee / water balance. Make sure your water is between 195 and 205 degrees Fahrenheit for the best brew. 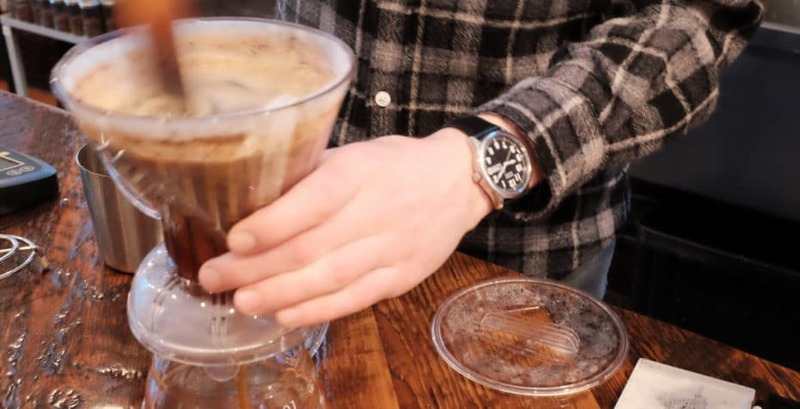 Use a shorter brew time for a finer ground coffee, and a longer brew time for a coarser ground. If you’d like to get more scientific about it, here are a couple fun YouTube videos. Did you know that your Clever Coffee Dripper can also be used for brewing teas and fresh herbs for infusions? Give it a try! We invite you to share your experience with a Clever Coffee Dripper in the comments below. What’s your preferred method of brewing a perfect cup of coffee?